The College is keen on developing sports and Games for benefit of the students. Students are encouraged to take active participation to develop healthy body, with sound mind. 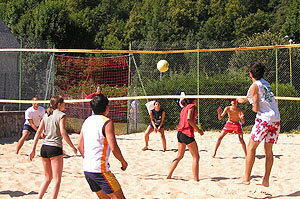 Participation in Sports and Games develops Team Spirit and it also improves the outlook of the individual. It also allows the participation to realize the value of healthy competition, team work and accepting the superiority of others with grace while striving for personal excellence. A traditional sport is always a part of college program.